Published on December 12, 2018 in Allenatori, Calcio, Corsa, Generale, Giovani, Tennis and Tiro a volo. 0 Comments Tags: anticipation, meta-analysis, self-explanation, Tennis. It is better to ask a student to see if they can explain something to themselves, than for a teacher or book to always explain it to them. That’s according to a new meta-analysis of the findings from 64 prior studies involving nearly 6000 participants that compared learning outcomes from prompted self-explanation compared to instructor explanation, or compared to time spent using other study techniques such as taking notes, summarising, thinking out loud (without the reflection and elaboration involved in self-explanation), or solving more problems. In tennis, it means that one player with adequate skills to play a match makes errors because he or she is not able to elaborate the anticipative reasoning to use his/her skills in a specific match situation or doesn’t understand the next shot is a sub-goal of the main goal that is the game management. 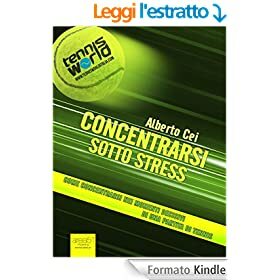 Therefore, the player need to integrate the tennis competences into a personal learning system to fulfill the match requests and self-explanation become a successful learning technique to develop the anticipative strategy. Published on March 5, 2015 in Generale and Olimpiadi. 0 Comments Tags: ciclismo, genere, half the road, salario, sessismo, Tennis. “In 1973 Billie Jean King forced the tennis overlords to award women the same prize money as male players. Forty years later, and female cyclists are still trying (and failing) to win a minimum wage in the professional peloton. A 2013 survey by the Women’s Cycling Association showed 50% of female pro cyclists earn $3,000 (£1969) or less per year. 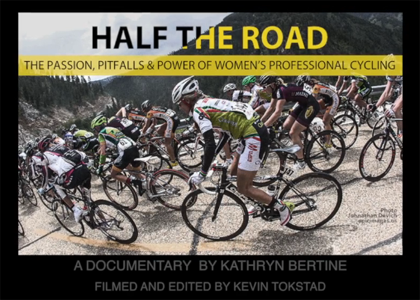 This is just one enraging statistic from Half The Road, the superb documentary by Kathryn Bertine, who herself battled with the UCI, cycling’s chauvinistic governing body, to qualify for the Olympics. Published on November 22, 2014 in Generale. 0 Comments Tags: bowling, football, golf, impiegati, manager, palle, Tennis. Sport of choice for maintenance level employees: bowling. Sport of choice for front line workers: football. Sport of choice for supervisors: baseball. Sport of choice for middle management: tennis. Sport of choice for corporate officers: golf. Conclusion: the higher you are in the corporate structure, the smaller your balls. Published on July 5, 2014 in Tennis. 0 Comments Tags: eccellenza, errani, Murray, Tennis, vinci, Wimbledon. “To accomplish something difﬁcult. To master, manipulate, or organize physical objects, human beings, or ideas. To overcome obstacles and attain a high standard. To rival and surpass others. It has been written by H.A. Murray nel 1938. 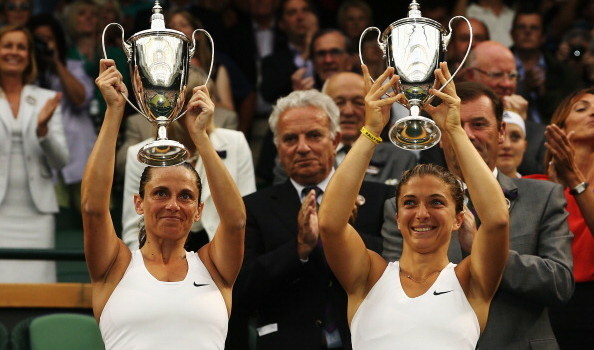 This is what Sara Errani e Roberta Vinci showed us today winning Wimbledon. Published on May 7, 2014 in Stress and Tennis. 0 Comments Tags: Serena Williams, Tennis, time. Serena Williams is among the 100 most influential people according Time. Here follows the words written by Dwyane Wad, three NBA championship won with the Miami Heat, to celebrate her. Published on April 4, 2014 in Giovani and Tennis. 0 Comments Tags: decalogo, stress, Tennis. Do not insult you when you make a mistake and do not rooting against yourself . Support in a more positive your commitment, even when the ball is out or you’re down. Don’t shout out against you, you will play worse. Play with joy, and freely make the choices you want to do. Do not criticize others as they play just to show you understand tennis. Support less skilled friends of your Tennis Club, they need to feel your support. Remember that excessive tension is harmful, you’re not playing the Wimbledon final. Have fun, use humor to reduce the fear of making a bad impression on others. At the end of the game, do not tell you that you are deeply disappointed and you’ll stop playing. Accept the defeats even more than you burn more. Do not give always blame to the racket, weather or to bad luck . Remember that you control the technique and tactic and not vice versa. Do not show your behavior with lack of respect for others, whether they are teammates or opponents. Show them the respect in all your behavior on the court. Don’t blame your mistakes to your opponent. It is you who have not been able to respond to a stroke or you have not adapted to that type of game. Do not make the same mistake, do not insist on a shot that today doesn’t come out . When mistakes do something different and change how you play. Do not play to close the game as soon as possible . Take the time needed to build the point and think.